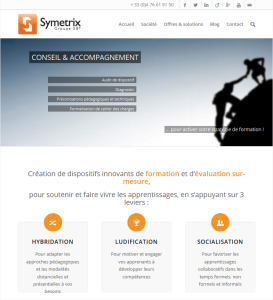 On 20 December 2013, SBT bought 6.25% of the capital of Symetrix, a company specializing in innovative training schemes, bringing its majority ownership of the company’s shares to 95.1%. This operation means that Symetrix can enter SBT’s tax consolidation group. SBT has proved that it is now among the major companies in the sector of corporate support in performance research. 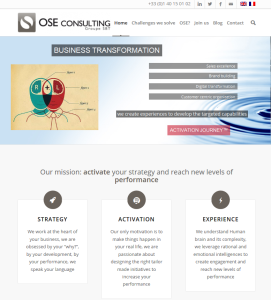 Since a company’s performance is more than ever linked with its ability to renew its strategy while meeting the fundamental individual and group needs of its employees, SBT offers a full range of services that aim to develop both people and organizations. The SBT Group is marking the start of its new communication strategy by launching modernized institutional websites for each of the companies in the group, and by creating a common visual identity. Also during the first stage, we will launch specific marketing campaigns targeting the media and financial sectors. To better understand what companies of the future will look like, Arnava asked managers about the changes taking place in their profession, the difficulties they encounter, and the direction that changes are going in. The results show that the new leadership models are at the heart of a system of issues inextricably linked with each other: be they economic, societal or cultural. 3 factors affect new managerial practices in particular: new technologies, new generations (Y, Z) and the CSR. The conclusions of this study were presented to the guests and journalists attending this event, which was an opportunity for discussing “best practices” and for sharing experiences. Please contact us if you would like to see the results of this study. 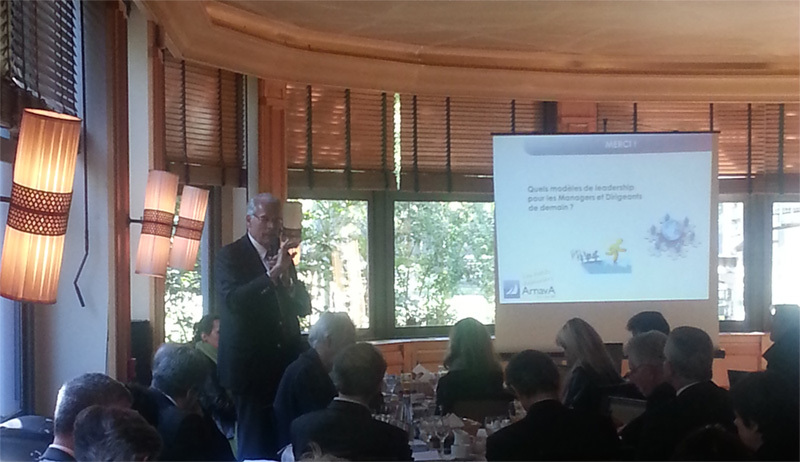 On Friday 24 January 2014, at Bercy, in Paris, an exhibition of 20 innovative collaborative projects from competitiveness clusters took place. The aim of this exhibition organized by the DGCIS (General Directorate of Industry and Services) was to promote corporate innovative endeavors by presenting high-potential R&D projects. 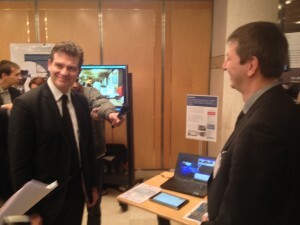 The MASSAÏ project (Measurement and Management of Stress in Computerized Learning Situations) overseen by SBT, was selected in the ICT category (information and communication technologies). In turn, the ministers Arnaud Montebourg, Geneviève Fioraso and Fleur Pellerin came to listen to Franck Tarpin-Bernard, Managing Director of the group, present the content of the project in detail. 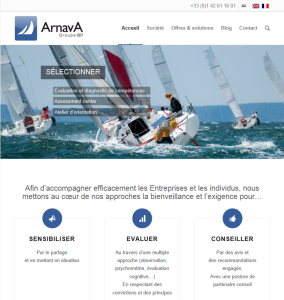 Just to remind you, the MASSAÏ project, which will be completed in June 2014, aims to develop tools, initially intended for the training sector, to measure and manage stress. 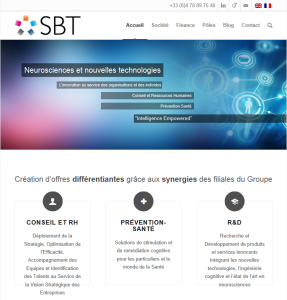 Buoyed up the enthusiasm for the project and the flexibility of the various schemes developed, the SBT Group now plans to use the MASSAÏ tools in professional contexts where stress may have an effect on the wellbeing and the effectiveness of employees. The MASSAÏ project is jointly funded by BPI France, the Rhône-Alpes region in France and the council of the Rhône département. The consortium brings together, with SBT at the center, the company CORYS and the university laboratories, LUTIN and LIG. Franck Tarpin-Bernard, Managing Director of SBT, has just been elected Secretary General of CEN-STIMCO, the National Center for Expertise in Cognitive Stimulation. The missions of CEN-STIMCO entail supporting and developing applications and technological solutions connected with cognitive stimulation, promoting the construction of offerings that meet the needs of the cognitive stimulation market, cooperation between the academic, medical and business sectors, the workplace and the socio-economic environment, as well as innovation in developing computerized systems for cognitive stimulation, cognitive optimization and the compensation for cognitive deficits with regard to participation through partnerships with research bodies and companies. 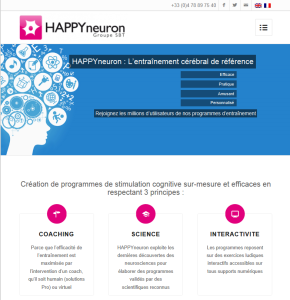 The National Center for Expertise in Cognitive Stimulation (CEN STIMCO) is a “facilitating” body whose independence, neutrality and transparency aim to encourage contact between users, handicap professionals, companies that use technological solutions, their suppliers, charities for patients and their families and cognitive stimulation researchers. Additional recognition of the legitimacy of SBT in the field of neurosciences and cognitive sciences.